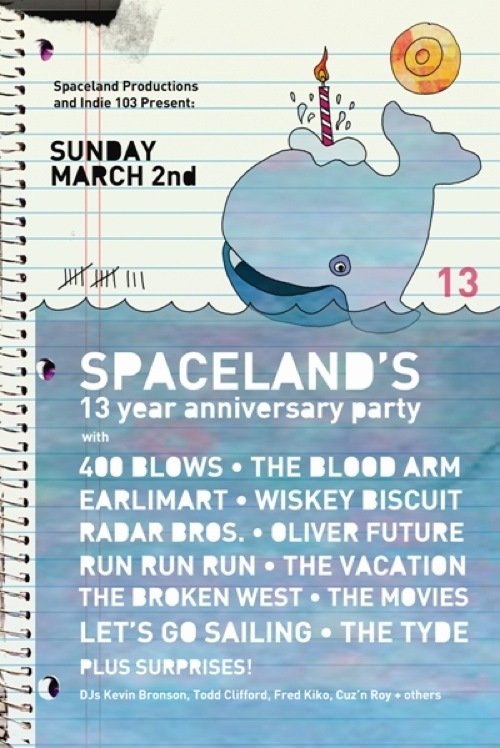 We have two pairs of tickets to give away for Spaceland’s upcoming 13th anniversary show, this Sunday, March 2nd. Lots of local favorites on the bill. To win a pair, leave your first and last name – and email address – in the comments. One of the best club’s in L.A. Hope it hangs around for another 13 years. Oh yeah.. and YAY THE MOVIES!!!!!! See you Sunday, short-haired bartendress!